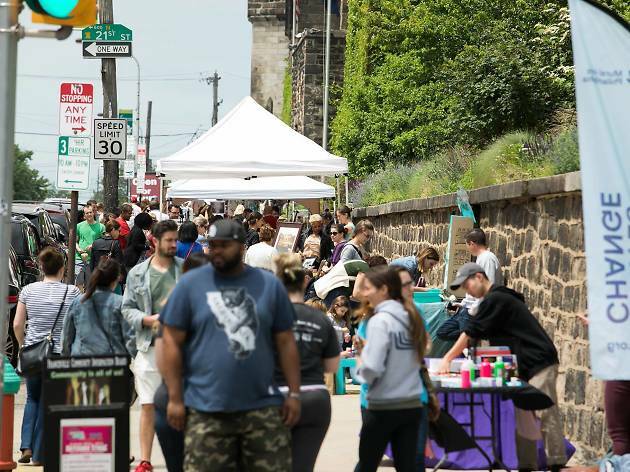 More than 4,000 art appreciators look forward to the Fairmount Avenue Arts Crawl each year, when the streets of Philly’s Art Museum district are flooded with nearly 40 exhibits by up-and-coming and established artists at a host of nearby venues. From painting to sculpture, print-making to photography, the day-long festival is a feast for the eyes. 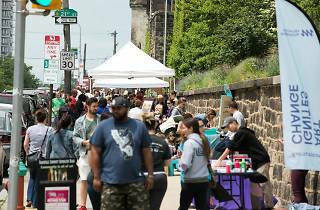 Kids and families can even participate in craft-making workshops and express their own personal brands of creativity through sidewalk-chalk art.